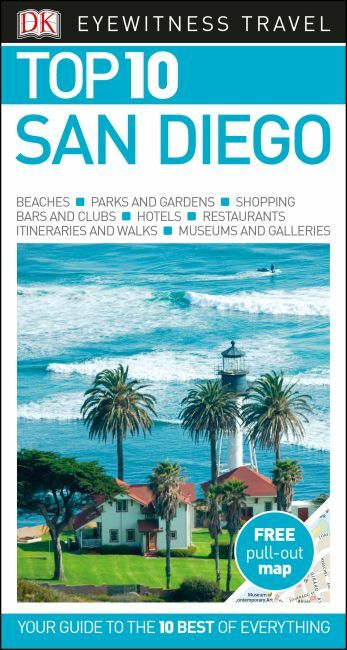 An unbeatable, pocket-sized guide to San Diego, packed with insider tips and ideas, colour maps, top 10 lists, and a laminated pull-out map - all designed to help you see the very best of San Diego. Explore Balboa Park's stunning gardens, visit famous San Diego Zoo, stroll along the Embarcadero to the historic Star of India tall ship, or soak up the city's nautical heritage at the Maritime Museum. From Top 10 gardens and nature reserves to the Top 10 beaches - discover the best of San Diego with this easy-to-use travel guide. Staying for longer as part of a bigger trip to California? Try our DK Eyewitness Travel Guide California.